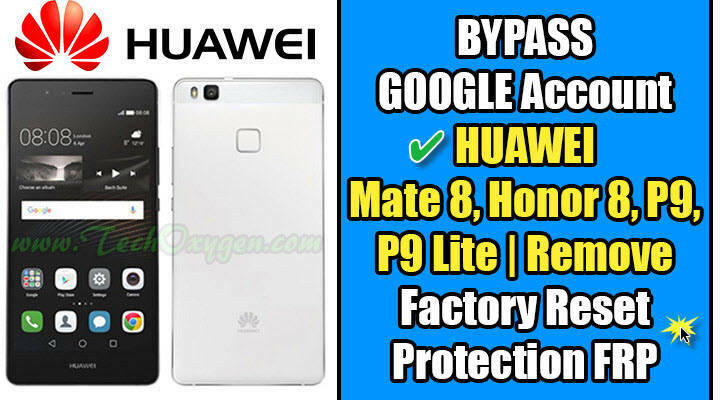 Here we are back with a new Google Account Bypass Guide for HUAWEI Phones. This Unlock FRP or Bypass FRP Locked works perfect with “HUAWEI Mate 8, Honor 8, P9, or P9 Lite” Phone. We are working to solve many Google Account locked issues, many users contacted us to ask for their FRP Remove solution for HUWAEI Honor 8, Mate 8, P9 Lite, P9 Plus and many other Devices. So, We decided to make a “100% Free Unlock FRP Method” to help those users having problems like: Forget Google Account or Gmail ID and Password. Don’t know about Gmail ID and Password, Lost Google Account Password, Using a second hand phone and doesn’t know the Gmail, Google Account of their Phones. Why FRP lock is appearing on your phone? 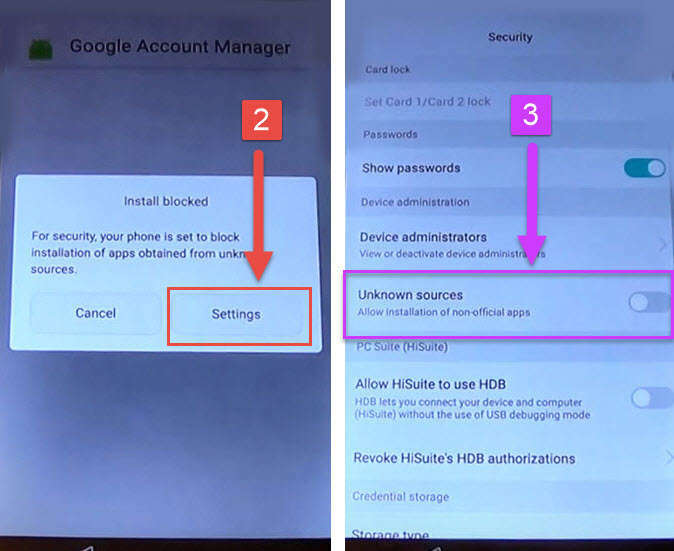 This Unlock FRP method was tested on “Huawei P9 Lite L21”, “Huawei Nexus 6P”, Ascend Mate8, Huawei P9 Plus and many other HUAWEI Mobile Phones with Android 6.0.1 Marshmallow and Lollipop 5.0.1. After a Hard or Soft Reset to your HUAWEI P9 Lite Phone or for any reason you are having this message on your HUWAEI Phone Screen: “This device was reset. 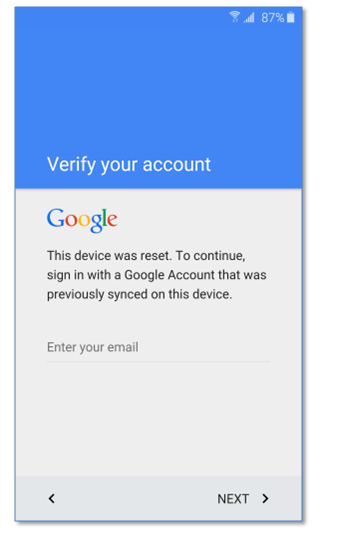 To continue, Sign in with a Google Account that was previously synced on this device.”. .
For this “Google Account Bypass Method” you don’t need any Computer, Laptop or PC. All you need is Wi-Fi connection. We will show you each and every step by the help of Images. 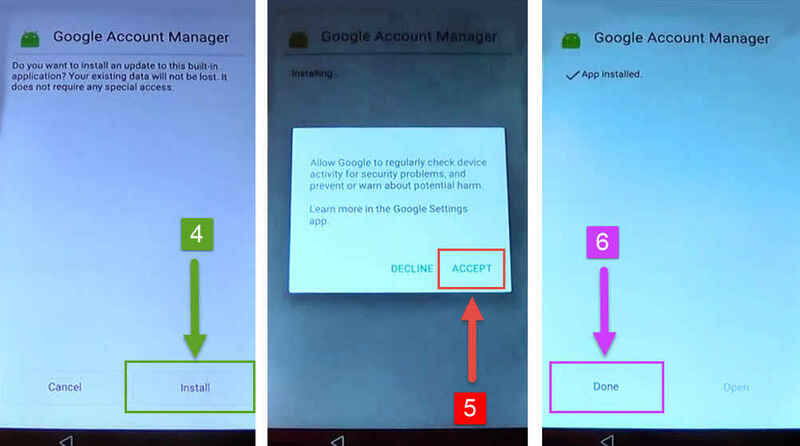 So, Make sure to follow every Step and for your help we will post the Images as well for each STEP, to completely Deactivate or Remove FRP (Factory Reset Protection) from your device. 1 Step. Restart your phone, From the beginning select your Home Language > Select region > Connect to the WiFi Network. 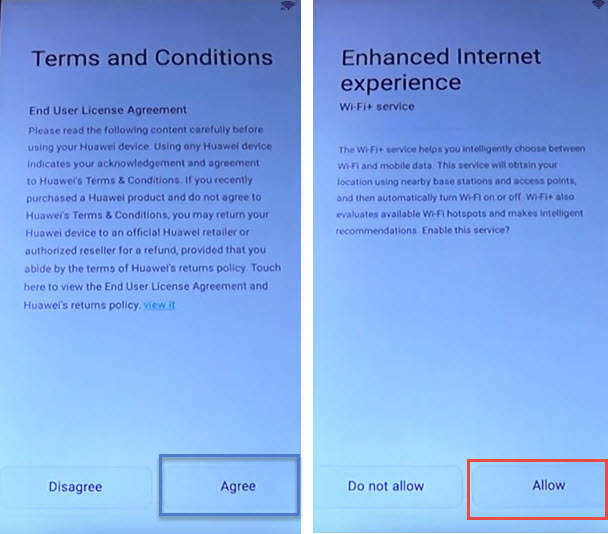 Agree to “Terms and Conditions” > Allow “Enhanced Internet Experience”. 3 Step. If you don’t know the Google Account, Tap on “Enter your email” and type “Any Word” here and Put your Finger on that word and “PUSH long” for about 2 to 3 seconds. When you see (Cut, Copy, Select All) options on your screen, Tap on “:” three points and then tap “ASSIST”. 4 Step. Just after this, You’ll have access to the Internet. Chrome browser will open, Tap on “No Thanks” in the bottom left corner of your Screen. 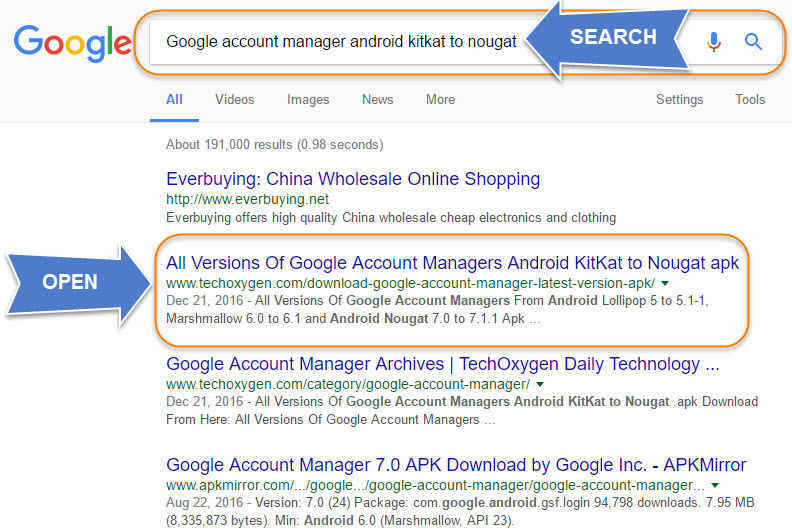 Now in the “Google Search Bar” type : “GOOGLE ACCOUNT MANAGER Android Kitkat to Nougat” and tap on search. 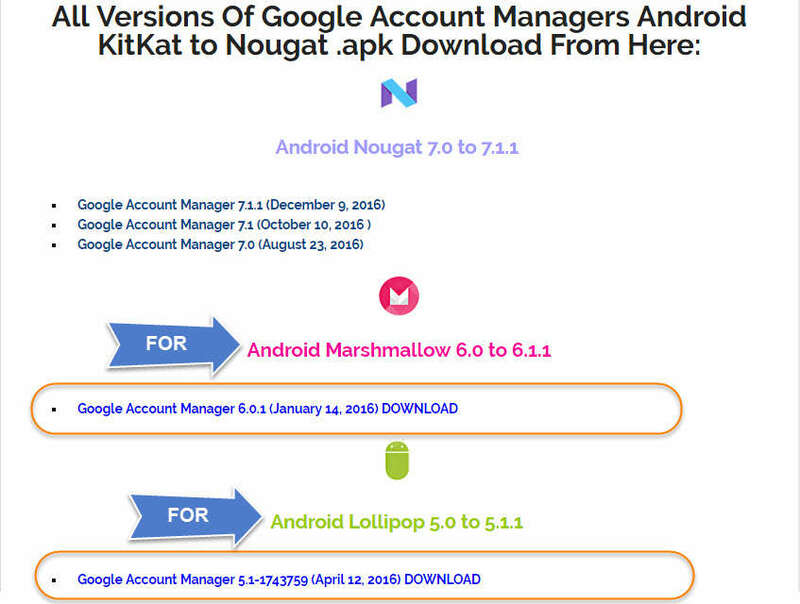 Download “Google Account Manager 6.0.1” for Android Marshmallow. 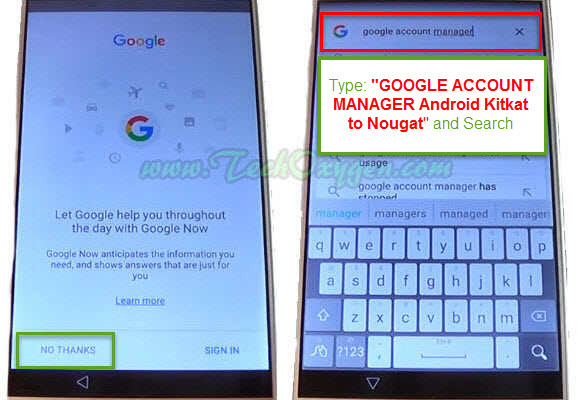 Download “Account Manager 5.1-1743759” for Android Lollipop. 6 Step. So download the version which is acceptable for your device, Here I’m going to download Google Account Manager 6.0.1 Marshmallow for “Huawei P9 Lite”. 7 Step. 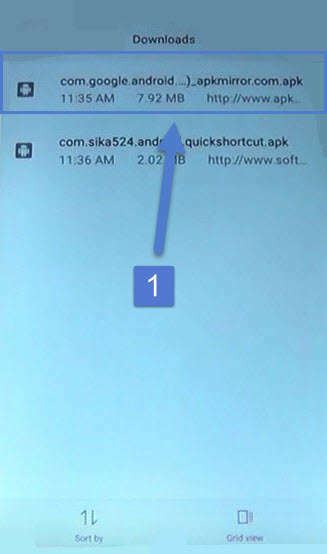 Then your download will be started, If you see (Allow Chrome to Access the SD Card) tap on “Allow”, and then an other message will Pop-up tap “OK”. “Installed Blocked” > tap on “Settings” then scroll down and enable “Unknown Sources”. 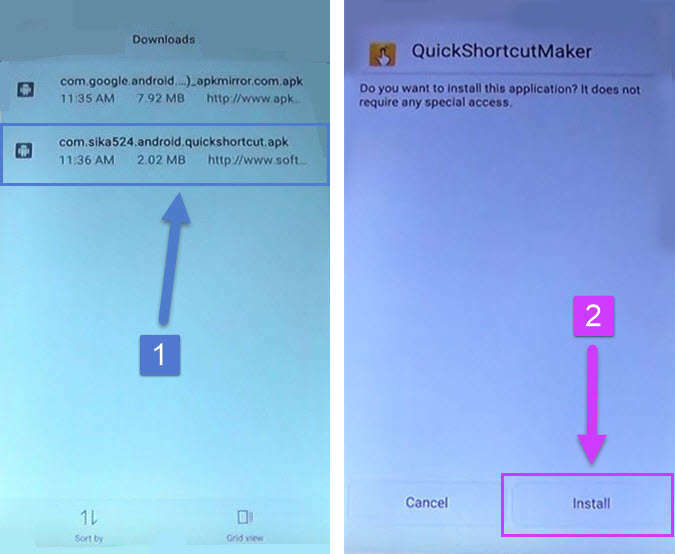 Go back to the APK and again tap on it to install properly. 9 Step. 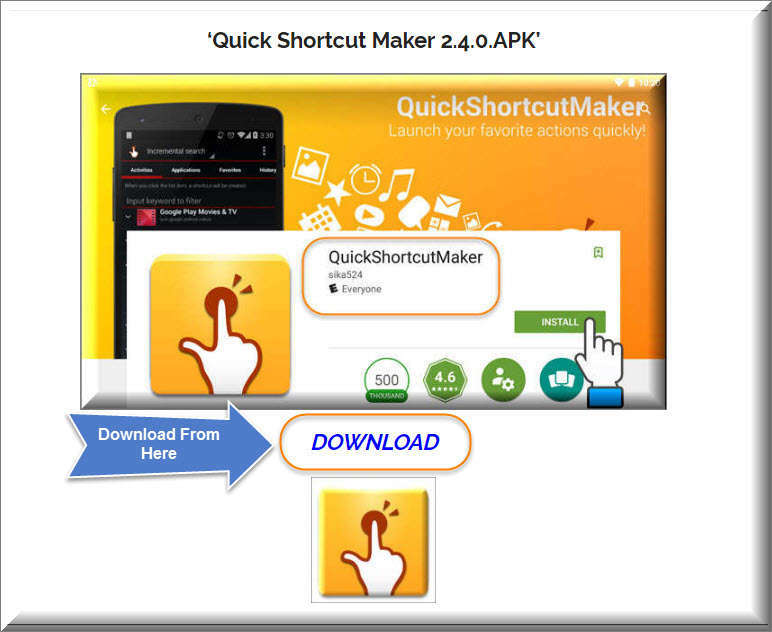 After that Go Back to the “Download Manager” and this time install the ‘QuickShortcutMaker.apk’. And on the search bar of (Quick Shortcut Maker) type “Google Account Manager” tap on the First result with that name. 11 Step. From this screen, Tap on the Google Account Manager with (Type Email and Password). Then tap on “/Try” and here tap on “:” these points on the top right corner of your screen and select “Browser Sign-in”. Bingo!! You’ll be on Google (Sign in with your Google Account) screen. Fortunately now you can easily Enter your own GMAIL ID and Password here it means you can Submit your own Google Account in your phone. After signed-in with your Gmail Account you’ll be redirected to the Google Account Manager Page. Press “Power button” and then “Restart” your phone. 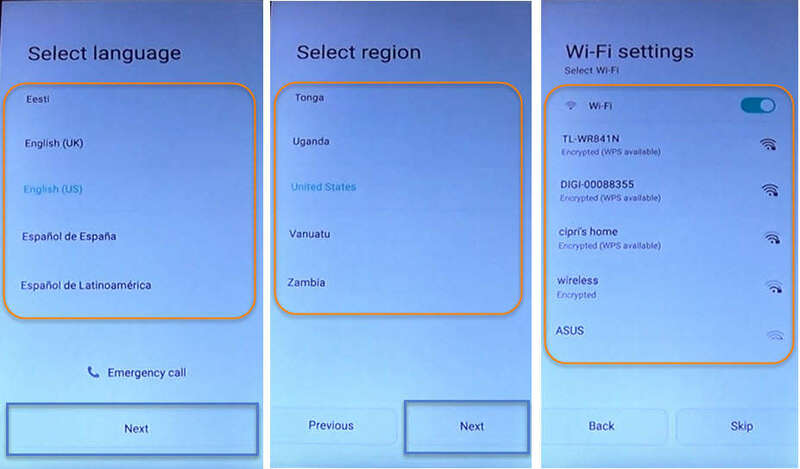 Do Initial Setup of your phone, Select Home language, Connect to WiFi network and complete the other Initial setup information. Then you can see there will be no more FRP Lock. Make sure to Do a Hard Reset after Unlocked FRP on your phone. 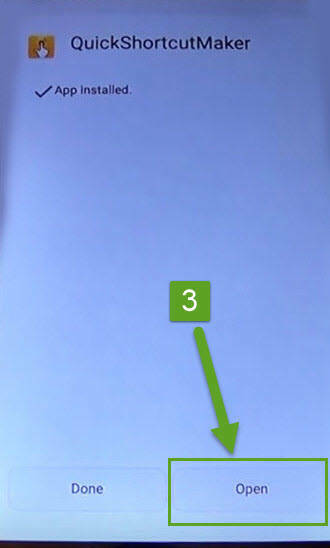 It is important to do a HARD RESET for your device after Removing the FRP lock. Before that make sure to Backup all your important data and contacts otherwise it won’t come back and everything will be removed. Step 3. Inside “Backup and Reset” select “Factory Data Reset” and then “RESET PHONE”. 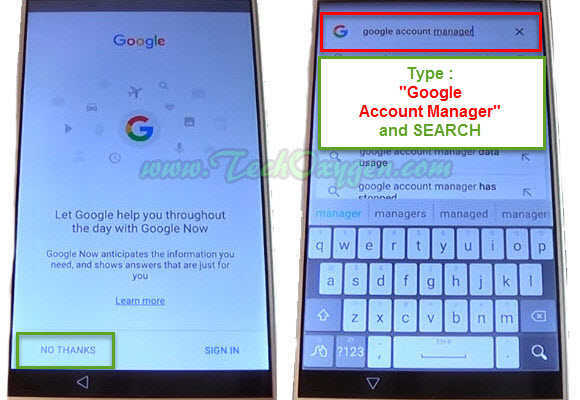 Now again do the initial settings, And you can enjoy the rest of your life without any FRP LOCK or Google Accoun Verification until you forgot about the GMAIL ID again! This was the complete guide to Delete and Remove FRP Lock from Huawei P9 Lite L21, Nexus 6P, Huawei P9 Plus, Honor 8, G9 Plus, Honor 5c and all the rest of the HUAWEI PHONES. Having any problem feel free to ask me in the comment below.